Problems with an important relationship. 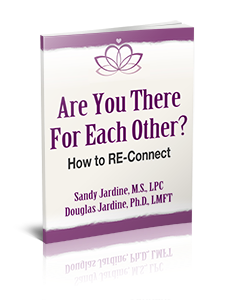 Life transitions like separation, divorce, career change, job loss, or a major illness. Struggling with a mental illness like bipolar disorder or major depression. Spiritual issues or crises of faith. Heal past hurts and traumas. Manage anger, depression and anxiety. Individual counseling is an inner journey of self exploration that is focused on YOUR goals. It is a collaborative effort that will help you shift out of the patterns that no longer serve you and steer you toward the life you desire. To begin your process of positive transformation, call us at 480-990-9128 (Sandy) or 602-538-9094 (Douglas). We can answer your questions, provide a brief, free, phone consultation, and schedule an appointment.